There are times when it’s hard being a cat in my house. I mean, there are only so many hours in a day and there is a LOT of sleeping to do! It’s a rough life. 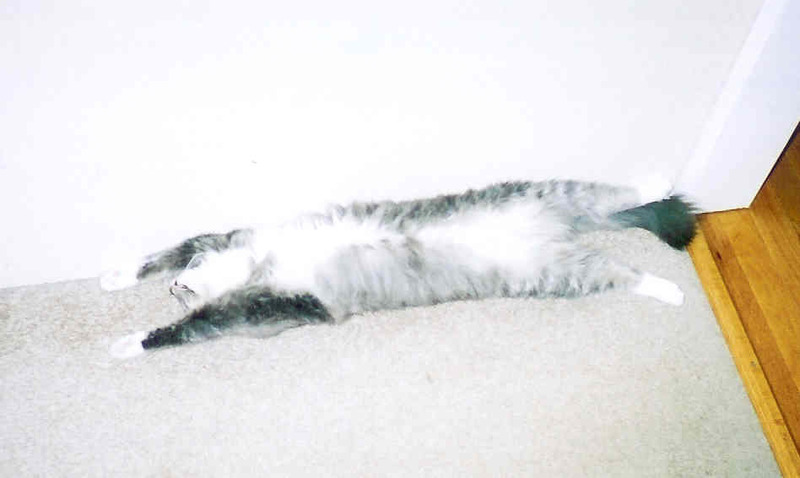 Oliver Twist and his hard-knock life have nothing on my cats. 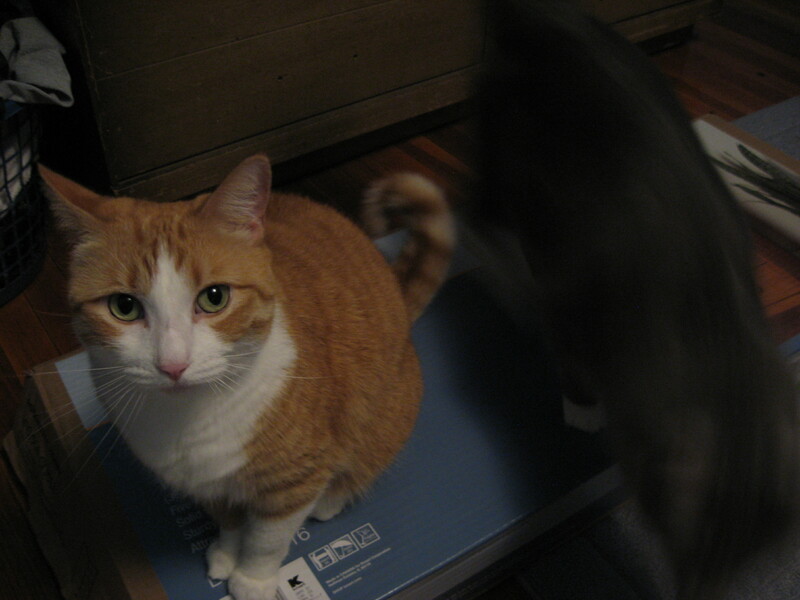 My cats are both indoor cats. They are NOT allowed outside. At all. Ever. They have learned this very well because the one time that Bob fell out of the bathroom window (first floor of the house) he was freaked out and trying to jump back INTO the house through that window (which was about 7 feet off of the ground). He almost made it, too. Nope. It was a giant rodent! Jay has referred to it as a giant chipmunk. 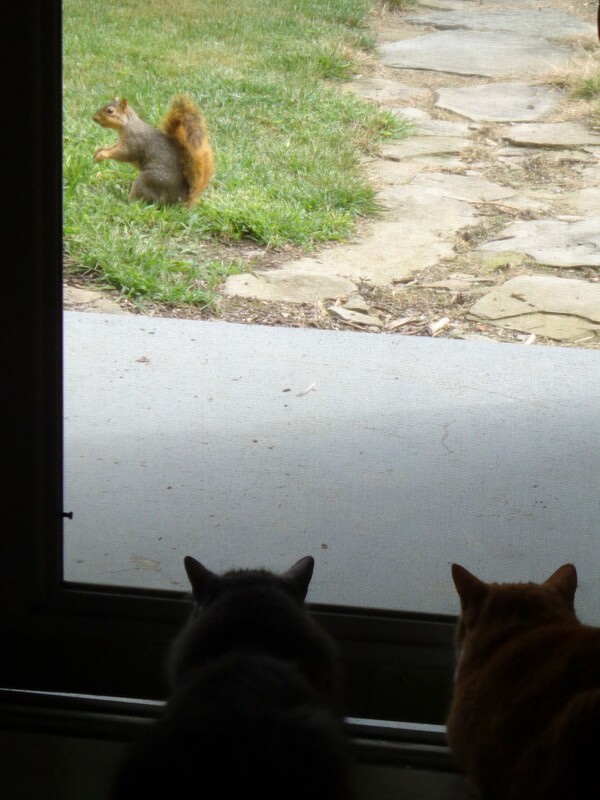 lol All the cats know is that they are supposed to chase it and eat it. Is it mean that I keep them from being able to act on their natural instinct? 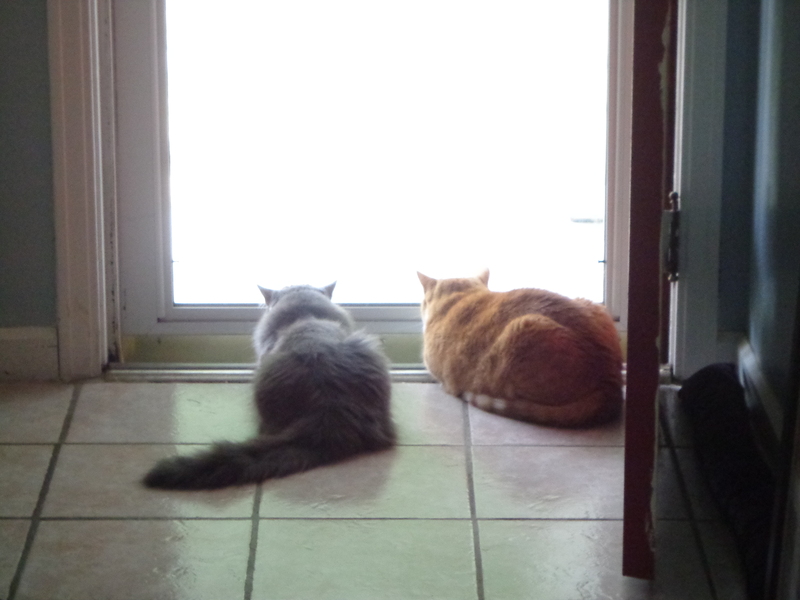 Is it terrible that I torture the cats by feeding the birds so that they can watch them? 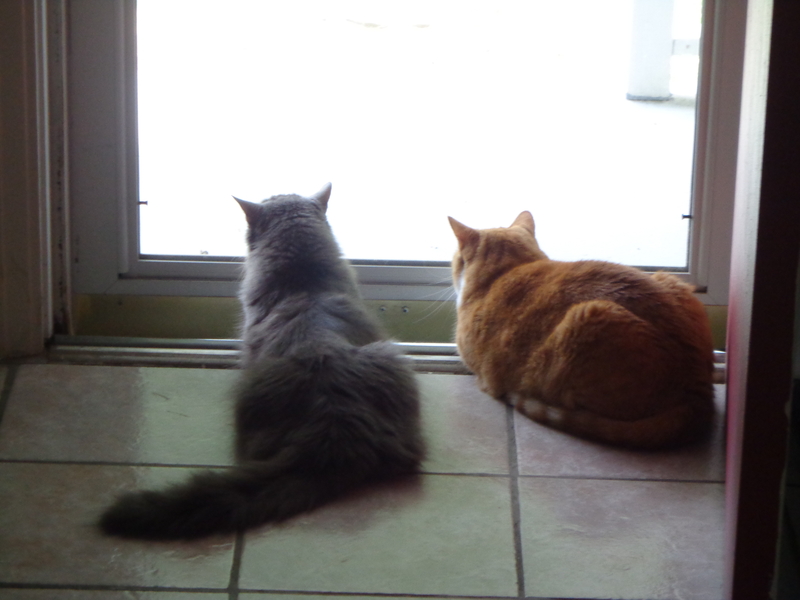 Chester loves watching the morning doves, and Bob prefers the rabbit or chipmunk that periodically show up. Am I a mean momma? Maybe they just consider it entertainment, kind of like reality tv for cats? Seems like they get the best of both worlds – they can look all ferocious, melting into the floor, but never actually have to bother trying to catch the critters, with all the hot, sweaty work that would be!